In this lecture ´´Forensic Entomology and Post-mortem Interval´´ is explained. Section one is about ‘‘Forensic Entomology’’. 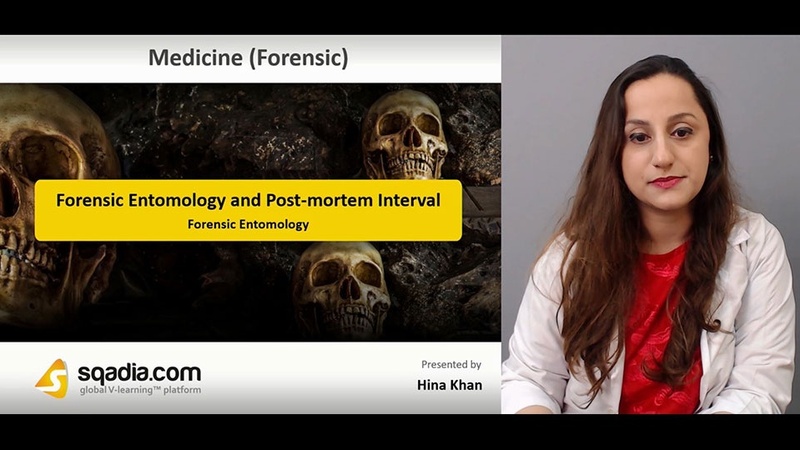 At first, educator introduces forensic entomology. After that, information is given about most common insects found on dead bodies. Then carrion insects are highlighted. Furthermore, importance of forensic entomology is discussed. Stages of decomposition are focused later on. Lastly, educator talks about collection of material for entomological study. Section two is about ''Flies and Beetles''. In the beginning of this section, educator talks about blue bottle flies (blow flies). Its life cycle and stages of decomposition are also discussed one after other. Later on, green bottle flies are elaborated along with common house flies and flesh flies. Following this, common beetles are focused which include carrion beetles, hister beetles, sap beetles, rove beetles, hide beetles, ham beetles, scarab beetles, and carcass beetles. All of these are explained in succession. 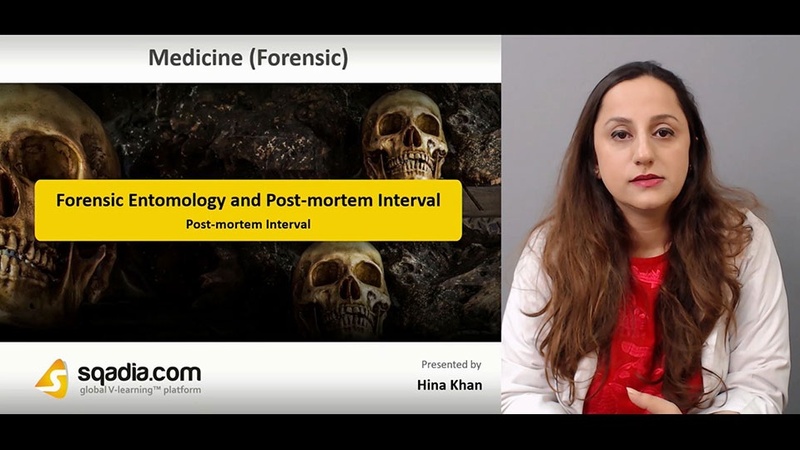 Section three is about ''Post-mortem Interval''. 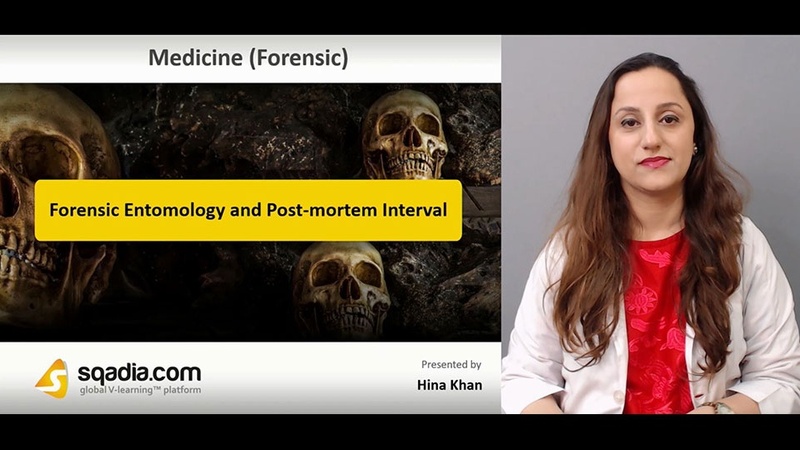 Initially, information about post-mortem interval is delivered. After that temperature effect on insect growth is pursued. Then insect development is highlighted. Subsequently, degree - day accumulation is explained. Section four is about ''Cooling Method''. Educator's prime emphasis in this section is on determination of time since death. Then by body cooling is notified. Likewise, factors affecting cooling curve are stated. Section five is about ''methods to measure post-mortem interval''. Earlier in this section, information about methods of measuring body temperature is given. 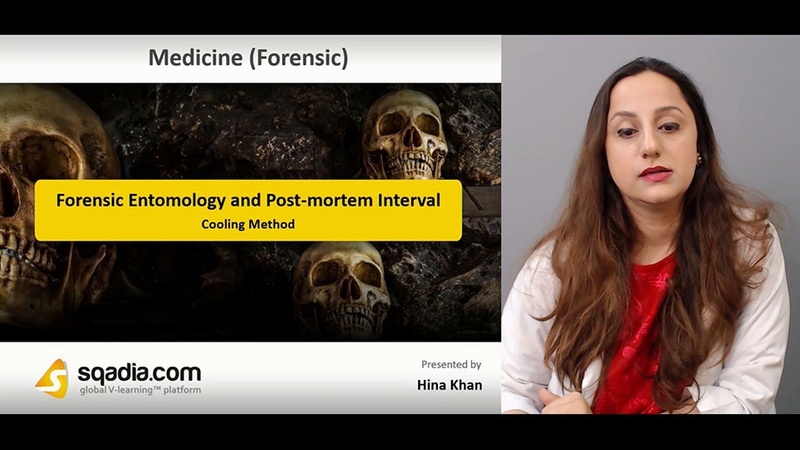 After that use of thermometry in estimating post-mortem interval is highlighted. Then Nomogram Method is explained. Subsequently, multiple site serial measurement methods are pursued. Furthermore, educator talks about stomach emptying as measure of time since death. Following this, use of vitreous humour chemistry in timing death is focused. Lastly, post-mortem chemistry is discussed.